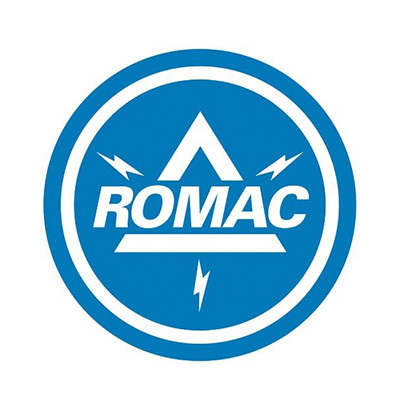 ROMAC Power Controls, Inc. (PCI) opened more than 35 years ago to provide new, custom-built and UL-listed electrical systems for construction and expansion projects when commercial-off-the-self (COTS) solutions can’t meet customers’ configuration, performance, time, or budget requirements. ROMAC PCI’s in-house engineering staff provides custom-built electrical apparatus to fit your restricted space requirements or unusual bus configurations to match to existing new equipment. Unlike other OEMs, ROMAC PCI will design your equipment using the components you prefer to keep your inventories low. From design to startup, ROMAC PCI is with you every step of the way. Using state-of-the-art CAD formats, our engineers provide submittal drawings in a fraction of current industry standard lead times; and they are always available to answer your questions. Trained technicians and rigorous testing and control go into every project. ROMAC PCI has met the most demanding military, government and private quality assurance standards. We will also test to specific customer requirements and welcome customer witness of these tests at our facility. ROMAC PCI is a member of NEMA and maintains a library of current NEMA standards, as well as ANSI and IEEE, and all applicable electrical utilities. Because we are independent, we are in a position to select from an array of electrical components from many different suppliers to meet the demands of your application. High-quality materials and state-of-the-art components are used in the manufacturing of all PCI products.